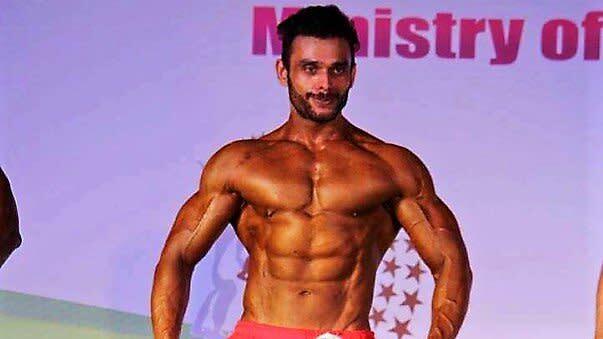 This is Manas from Bangalore.I have been selected from India to represent in Mr Asia championship-2017 as men physique athlete. 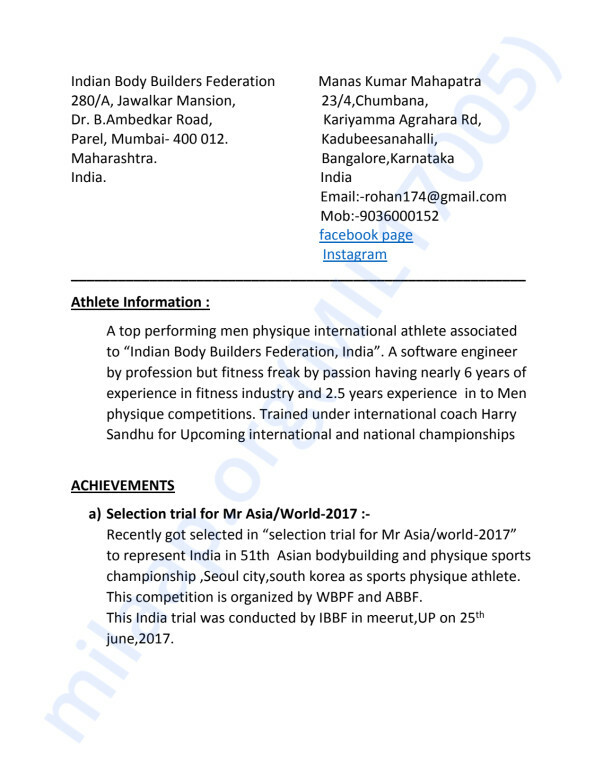 This competition will be held in Seoul,south Korea from 20th to 26th August by WBPF(world body building and physique sports) organisation. 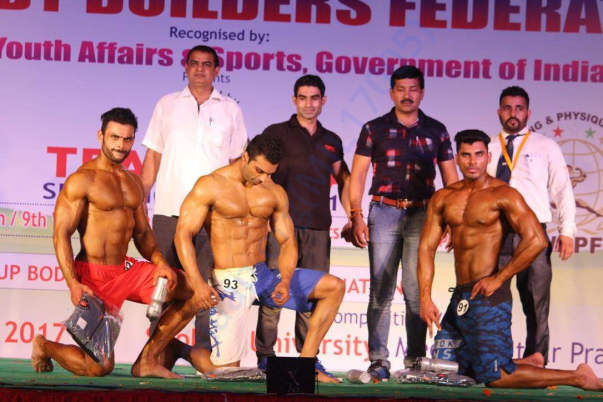 Even though we are recognized by sports authority of India but India govt doesn't support bodybuilding as a sport. 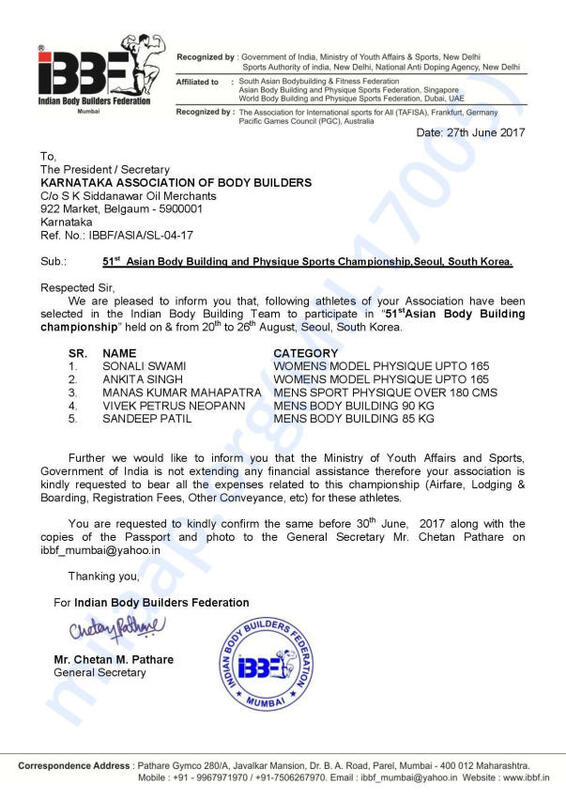 I have attached "indian body builders federation" letter on the same. 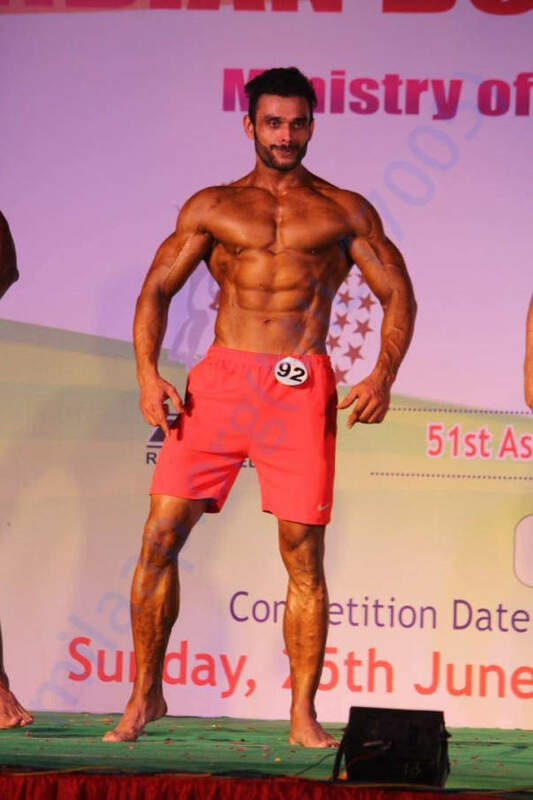 in total cost me 1.5 lakhs which I need to pay to "Indian Bodybuilders federation" by 1st of august to make all necessary arrangements for me. 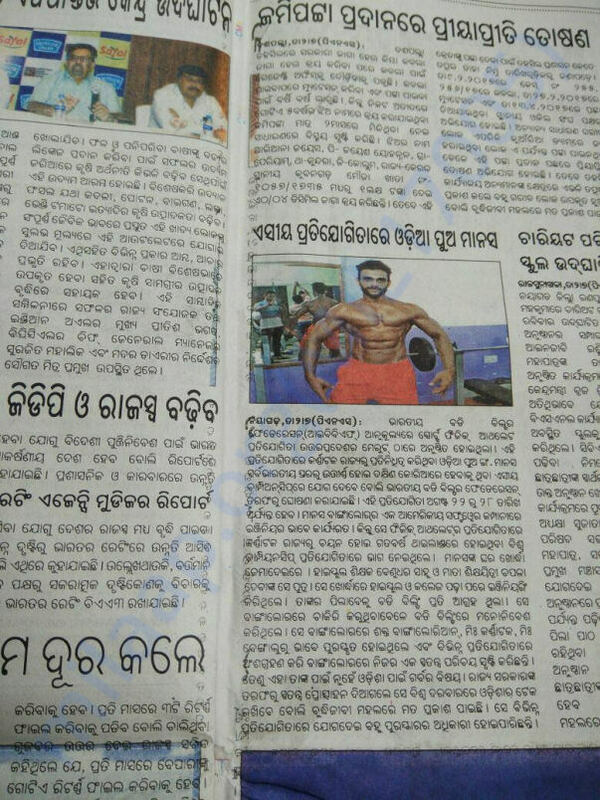 Other Than this 1.5 Lakhs ,I have my preparation expenses including my training,diet,supplements which I am able to manage but I am facing difficulty in arranging this 1.5 lakhs. Currently I am preparing for the competition in the guidance of international coach,I will definitely do very good there. So request you to please help me in all your possible way. I have collected nearly 43k through this portal. I am going to pay this to IBBF directly for my competition related bookings (flight, hotel, VISA, comp reg). 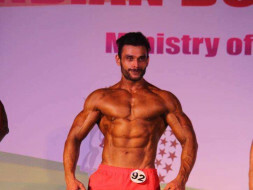 I will personally keep you all posted about my preparation and competition updates. Thanks a lot for all your support. Because of your support, I am going to compete in this competition. All the very best to you..
Work hard, stay good, the best will come to you. Good luck!